The Mark Twain is a large corn cob filter pipe with a smooth finish and black stem. The bowl is 2 inches tall and holds a good amount of tobacco. 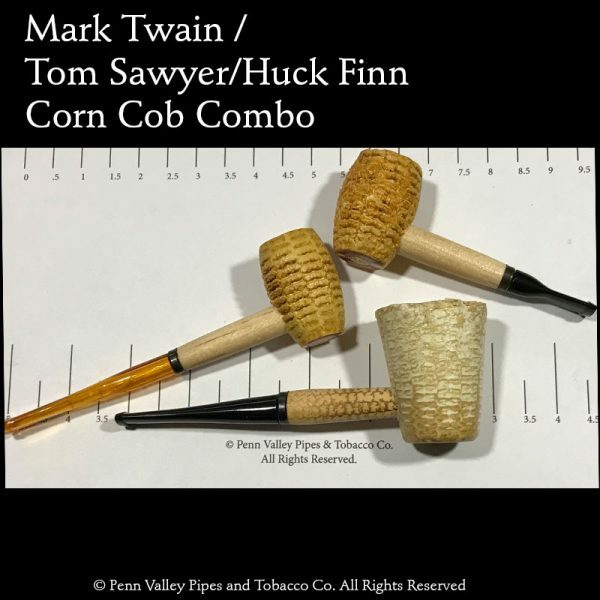 The Tom Sawyer is a short corn cob pipe that does not take a filter. 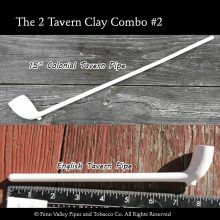 The Huck Finn is a 6-inch pipe with a clear stem. It, too, does not come with a filter. When the Missouri Meerschaum Company brought the Mark Twain, the Tom Sawyer, and the Huck Finn corn cob pipes into the mix, we couldn’t resist creating a new pipe combination to honor the Midwest heroes of imagination and real life. So here is another fine example of our famous pipe combinations for you to toss into your cart and savor as you relax by your local fishing hole or clench tight between your teeth as you take on the rapids. 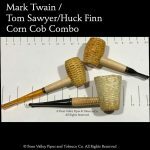 This combo includes the diminutive Tom Sawyer corn cob, the full-length Huck Finn, as well as the over-size Mark Twain corn cob pipe giving you a variety of styles to enjoy whenever the mood strikes. If you have rafting plans for yourself and want to go well prepared, you may want to jump into a White Water River Combo featuring all three corn cob pipes, just try to keep the pipes dry. 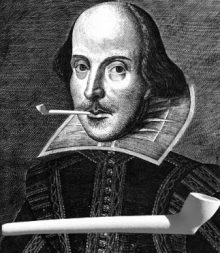 It would be weird to see little shoot sprouting out of the sides of the pipe bowl.